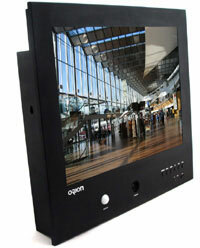 The Orion 20PVM Public View has been discontinued. No direct replacement is available. The 20PVM Public View from Orion is power packed with a built in 1/3" Interline Transfer SONY Super HAD camera, a passive infrared sensor and a built-in media card player, making it an ideal choice as a public view monitor. It comes with a wall mountable bracket. Its input-output support includes BNC, S-Video, Audio, VGA and USB. Its 20" LCD display, 800 x 600 @ 75Hz resolution along with a brightness of 450cd/m2 and 500: 1 contrast ratio is capable of delivering true life high quality images.